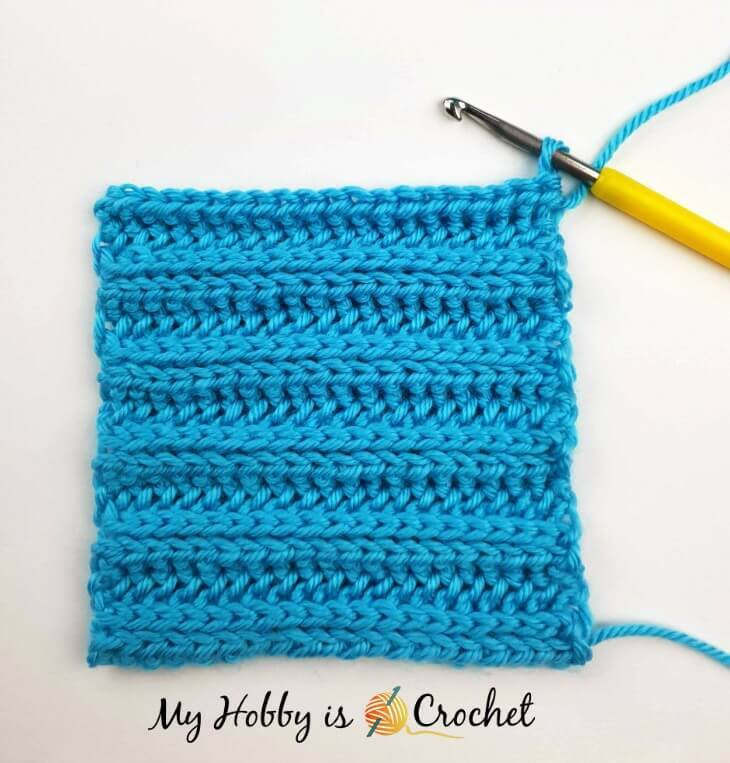 In my previous blog posts I have shown you how to crochet the perfect "Knit 1, Purl 1" Ribbing and the Crochet Stockinette Stitch using the yarn over slip stitch. 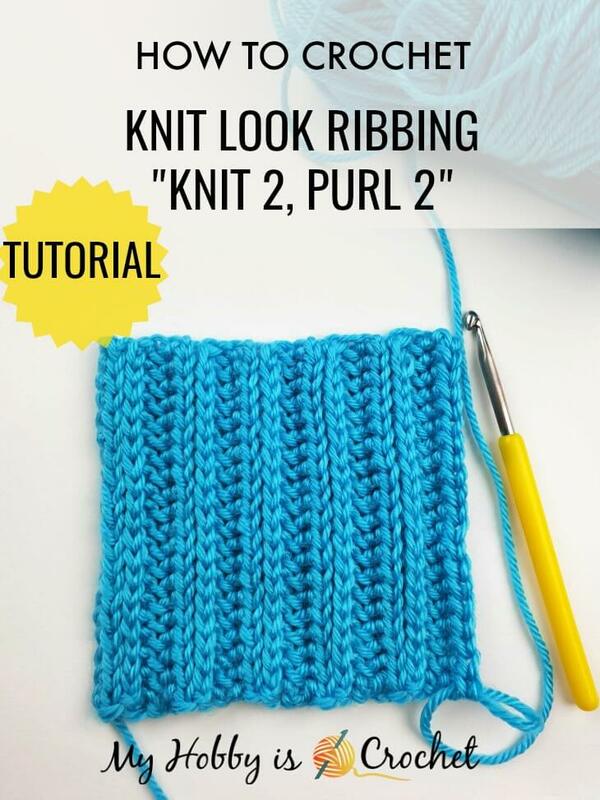 Now it's time to show you how to crochet the perfect "Knit 2, Purl 2" Ribbing! Knit Look Crochet Ribbing "Knit 2, Purl 2"
Even if you don’t know how to knit, this crochet ribbing will fool everyone! It looks so much like the knit rib knit 2 purl 2! This crochet ribbing is reversible, the only difference is that on the right side the V's formed by the stitches are pointing down and on the wrong side they are pointing up. 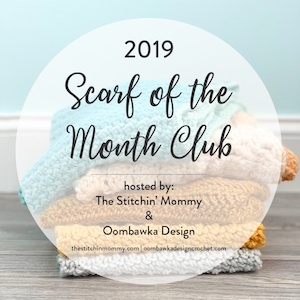 The crochet version is not stretchy as the knitted one, but it is a great option for crocheters to get the knit look in their crochet projects! a) alternating 2 knit sts (the small V's) with 2 purl sts within the row. 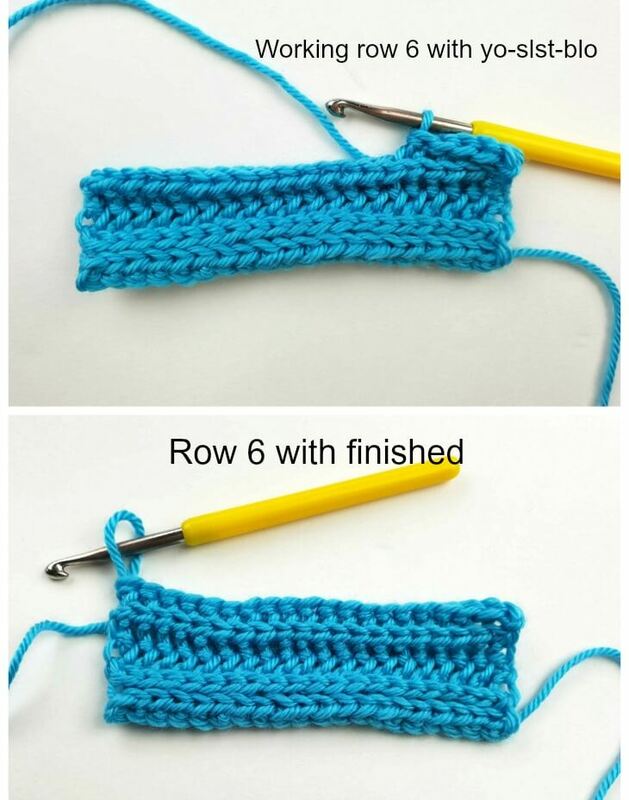 To make a perfect Crochet Version of the Knit Ribbing “Knit 2 Purl 2” you will crochet in rows, alternating 2 rows of yarn over slip stitches back loops only with 2 rows of yarn over slip sts into 3rd loop at front! This will create horizontal ribs, but once you will flip your work on the vertical you will get the vertical knit look ribs! 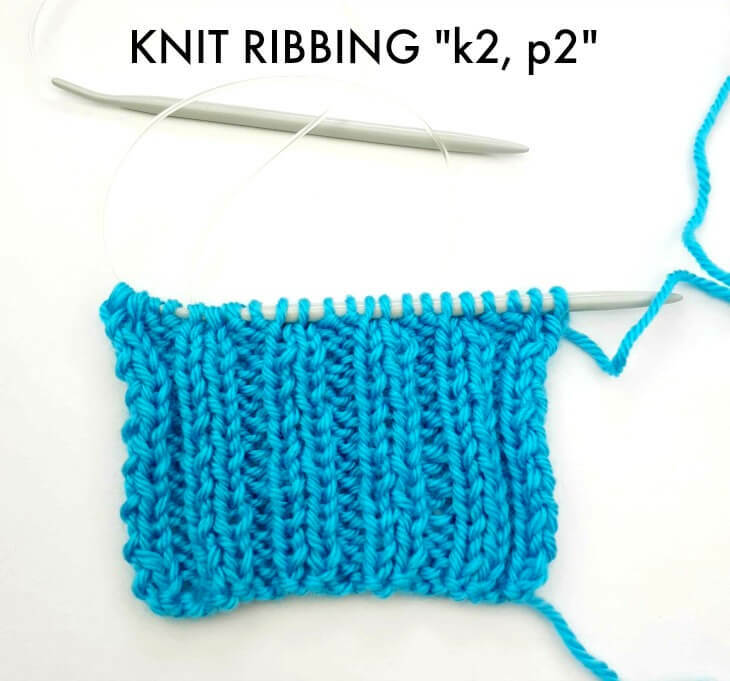 So let’s see how to crochet a knit look ribbing "k2, p2"! For this tutorial I have used Red Heart Soft yarn and a 5 mm crochet Hook! You can use the yarns and hooks of your choice! 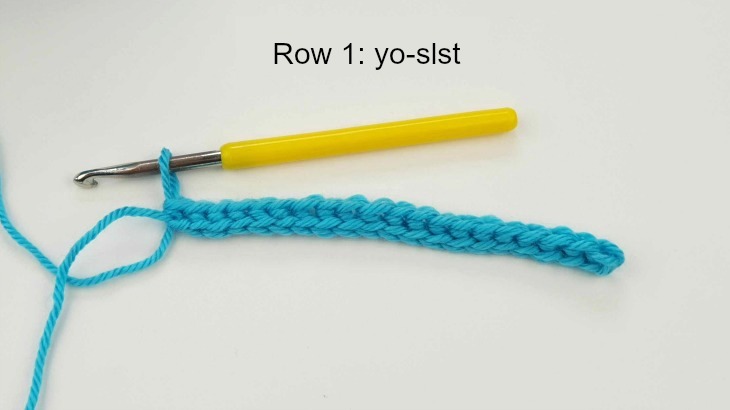 Yo-slst: yarn over slip stitch See my Tutorial here! 1)The ch1 at beg of rows will not be counted as a st.
2) Working the first row into the back bumps of chains will create a pretty, finished look of the foundation row. 3) In this tutorial I will show you how to get this ribbing look; I will not show you how to crochet each special stitch used, because for those special stitches I have already made tutorials in previous blog posts! 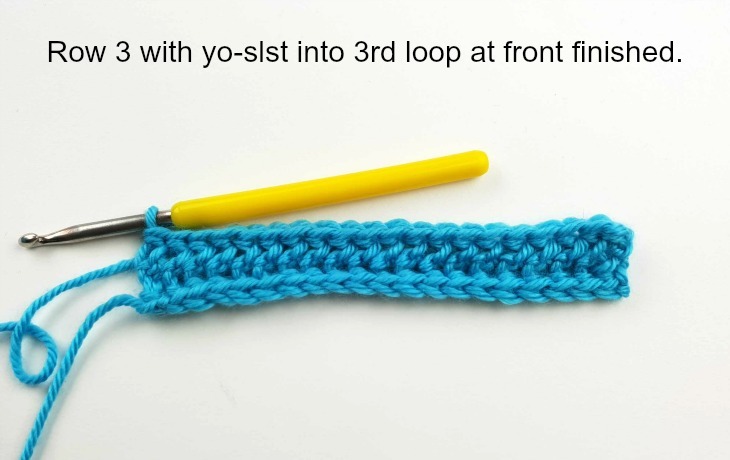 Please click on the links above to learn how to crochet the yarn over slip stitch, the yarn over slip stitch back loops only and the yarn over slip stitch into 3rd loop at front! Start with a foundation chain of your desired length. Add 1 ch to turn. For this tutorial I have chained 21. You see that on this side (wrong side of work) were formed the 2 "purl" rows and the v-s were pushed to the other side (to the right side) of work. 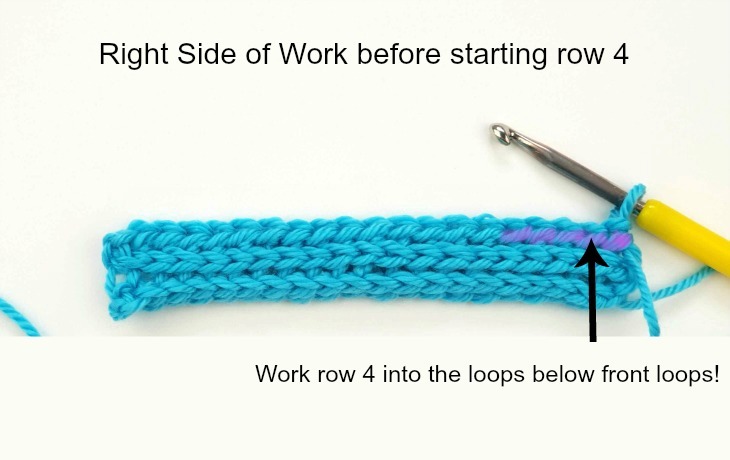 Wenn you turn your work to start working on row 4, your piece will look like in the picture below. See, there are 3 rows of V's! You need to push one row of V's to the other side, working row 4 with the yo-slst into 3rd loop at front! 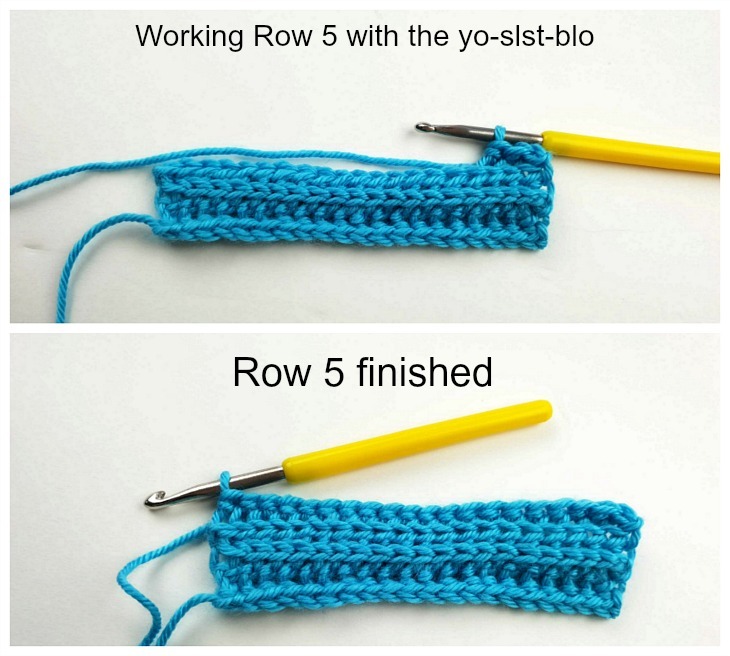 Repeat as rows 3 - 6, always alternating two rows of yo-slst into 3rd. loop at front with 2 rows of yo-slst-blo! 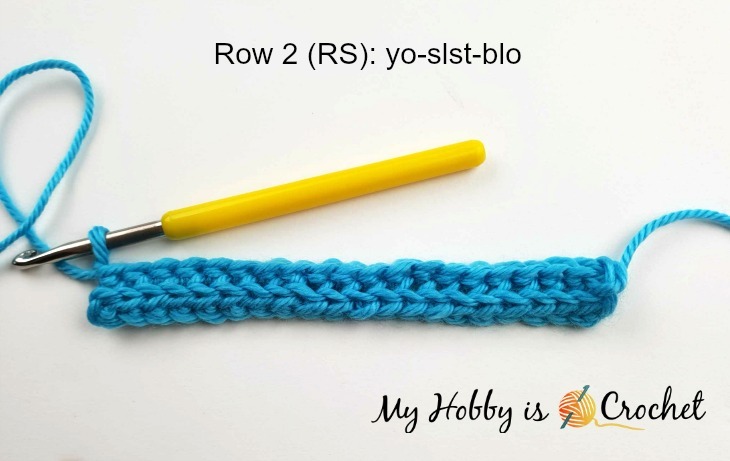 NOTE: While you crochet, you might forget what kind of row was the last one you have crocheted and you’ll be confused not knowing what kind of row to crochet next! Don’t worry! Just see the rows you made from both sides of your work! You know that you have to have 2 rows of knit look sts (the V's) and 2 rows of purl look sts on both side of the work! You will need to push the V's either to the front or to the back of your work. Supposing that on the back side of your work you have 1 knit look row, you need to push to the back the top of the sts from next row. 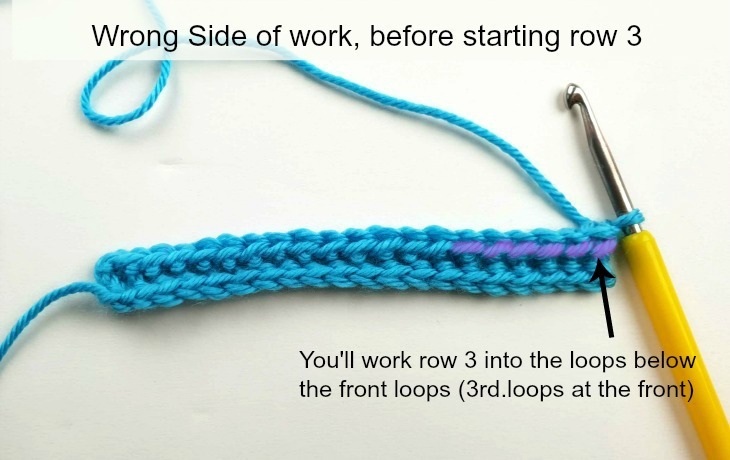 That means that you will crochet into the 3rd loop at the front to push the sts to the back. 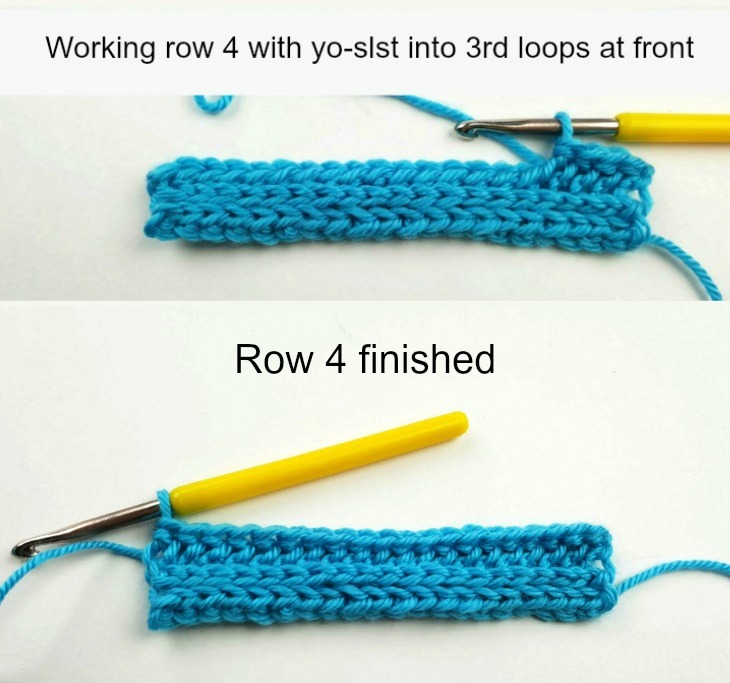 If you see that on the curent side of work you have 3 knit rows, you need to push the V-s to the back, working with the yo-slst into 3rd loop at front. If you see that on the curent side of work you have 2 knit rows, you will work yo-slst-blo that will keep the 2 knit rows on the curent side. Supposing that on the back side you have 3 knit look rows, while at the front you have 1 knit look row, you will work the next row into blo! Flip your work to the vertical and admire your perfect knit look ribbing "2 knit, 2 purl". I hope that this tutorial has helped you!